Umbria is landlocked and borders Lazio to the south, le Marche (the Marches) to the north and east, and Toscana (Tuscany) to the west. 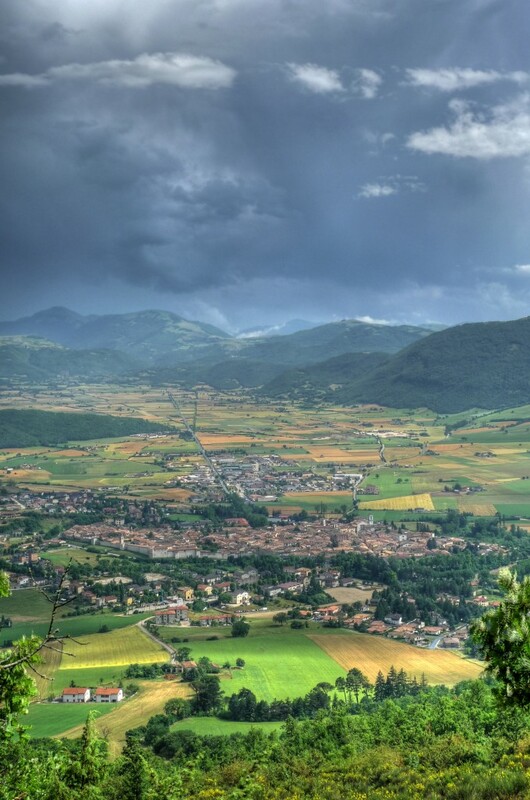 The colour of Umbria is green which covers its fertile pastures, mountains, hills, and valleys. 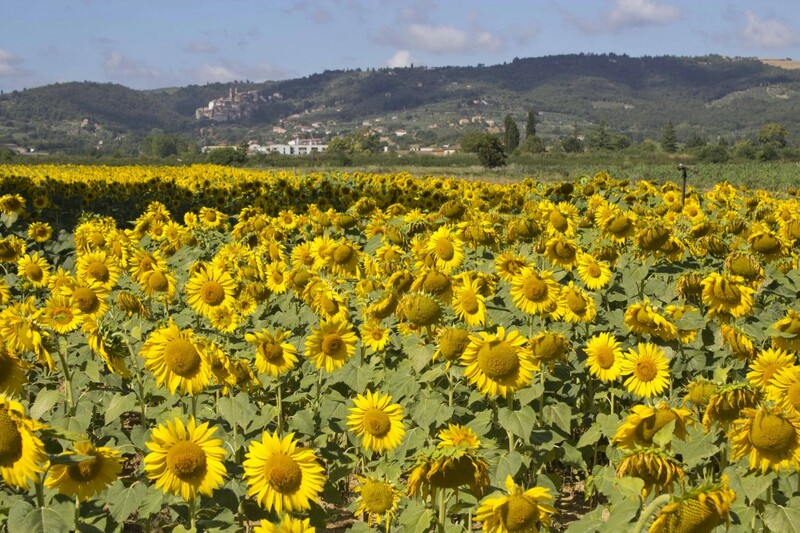 Interspersed are yellow fields of sunflowers, their faces perpetually following the sun. Umbria’s landscape is crisscrossed by lakes and rivers. 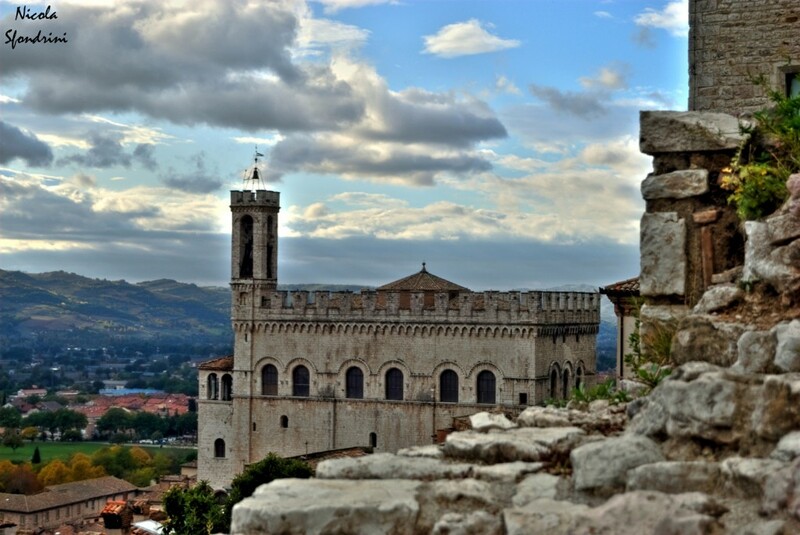 Umbria has many medieval cities and jazz and arts festivals in Spoleto. Umbria is where both Perugina chocolates and Saint Francis of Assisi (the founder of a religious artistic movement expressed in Gothic art) originate. 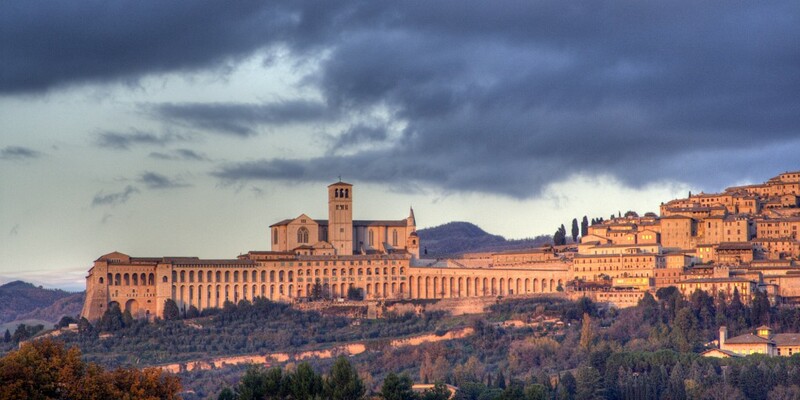 The walled medieval town of Assisi, the native city of St. Francis, should not be missed. 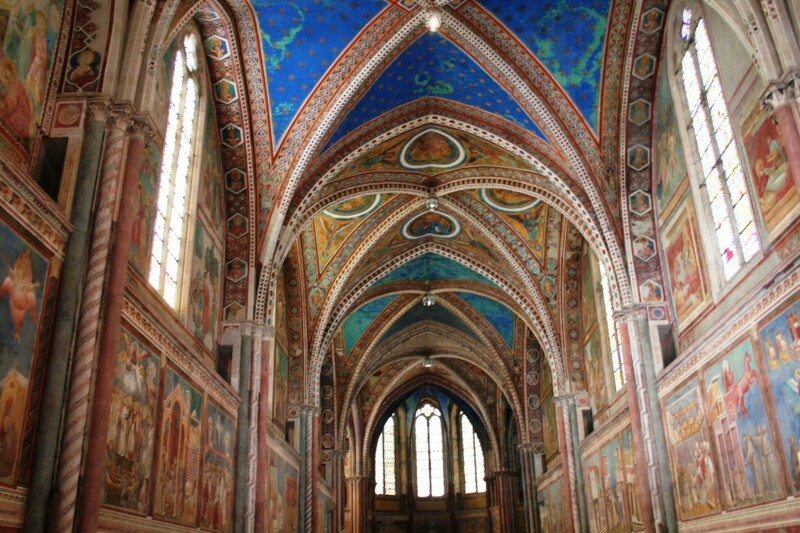 In particular, see Giotto’s frescoes in the Basilica di San Francesco (a church and major destination in Italy for pilgrimage), the view from Rocca Maggiore (a 12th Century fortress) and the Gothic Chiesa di Santa Chiara (a 13th century church) and its views of the Umbrian countryside. 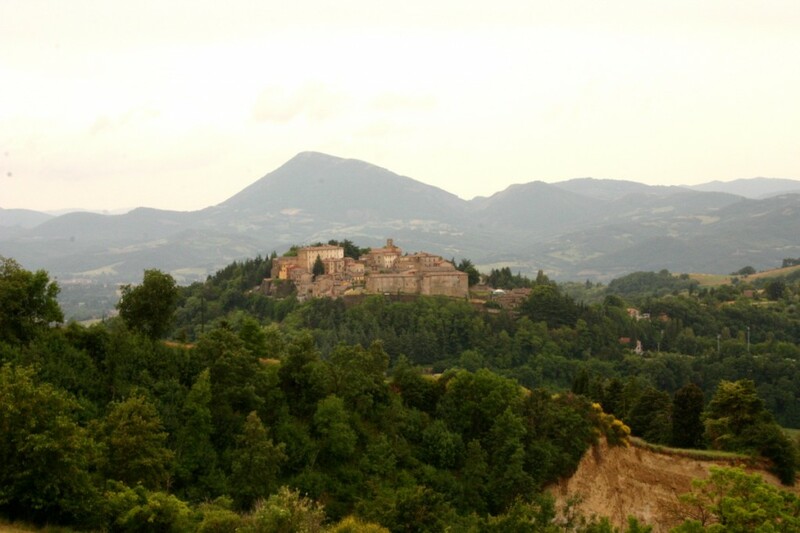 Just outside Assisi, see the Eremo delle Carceri (a hermitage) and surrounding forest. Another medieval town, Gubbio, has an attractive old town. 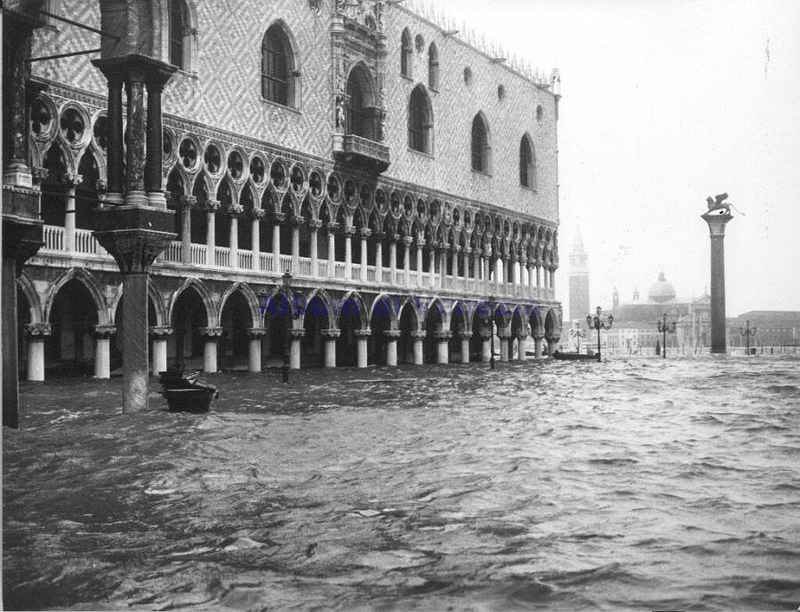 Charming points of interest are the Piazza Grande and its Palazzo dei Consoli (a Gothic building), 20 Settembre Street, Galeotti Street, Via Piccardi Street, Baladssini Street, and dei Consoli street. 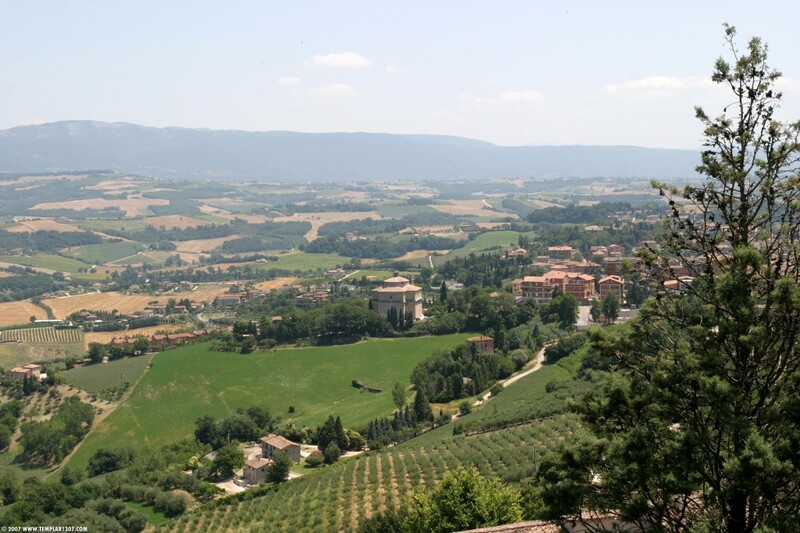 The Etruscan built cities of Orvieto and Perugia (the capital of Umbria) sit on promontories and lovely places to visit. Orvieto is internationally famous for its white wine but the city has some beautiful Gothic buildings including the Duomo and Façade (including the frescoes inside). 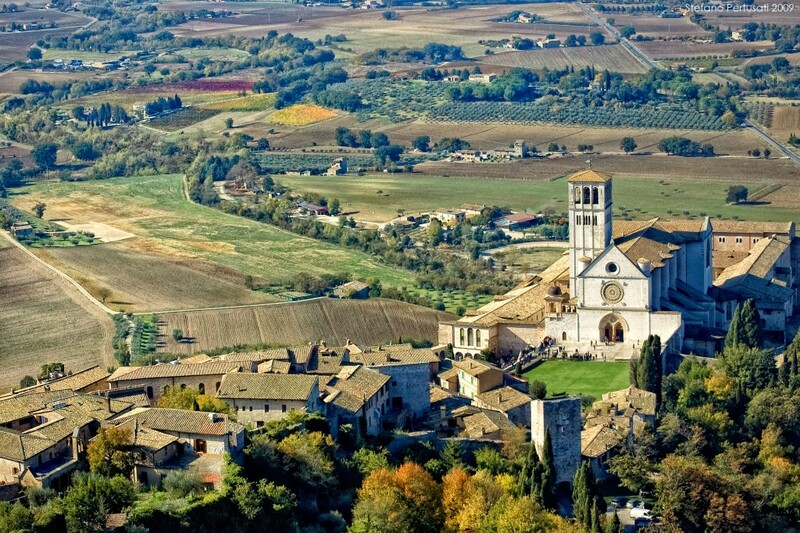 Orvieto also hosts the Umbria Jazz Festival in December. 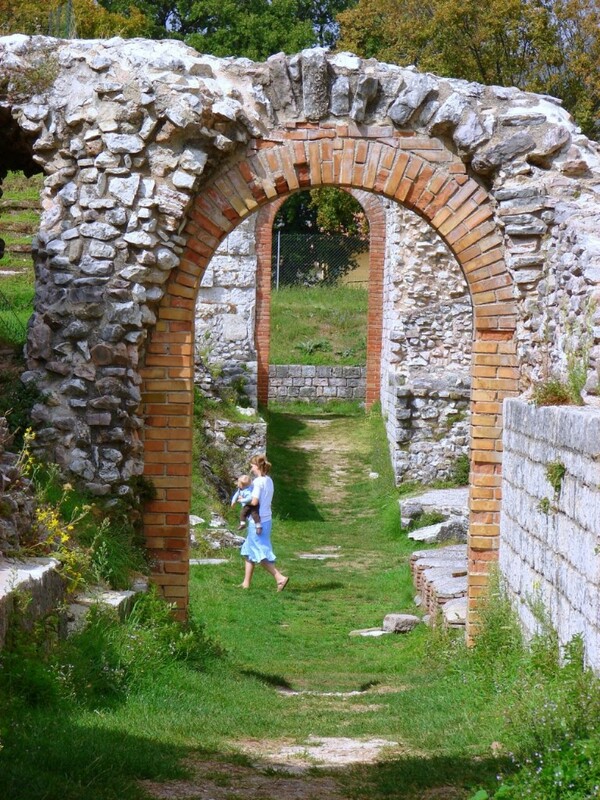 Spoleto hosts the Festival dei Due Mondi (the Festival of Two Worlds) which is a three week music and opera festival during June and early July. 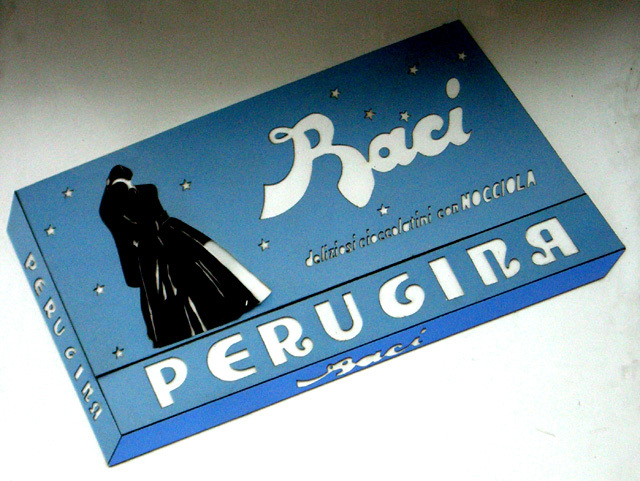 Perugia is probably best known internationally for its chocolates but it also has vibrant industrial and commercial sectors as well as a well-known university. 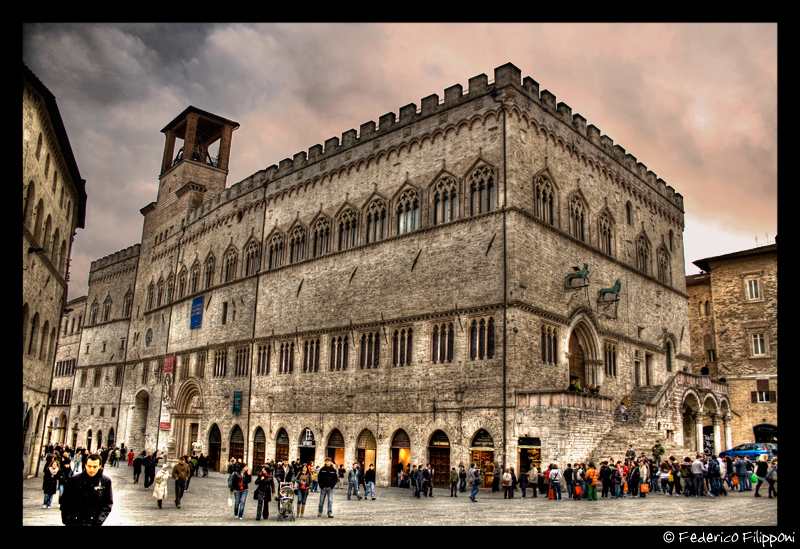 The heart of Perugia is Piazza IV Novembre (the town square) and is considered one of the grandest in Italy. Sites to visit include the Fontana Maggiore (the Great Fountain), Palazzo dei Priori (the Prior’s Palace) and the Galleria Nazionale dell’Umbria (the National Gallery of Umbria on the top floor of the Prior’s Palace), the 10th century Chiesa di San Pietro (St. Peter’s Church), the Museo Archeologico Nazionale dell’Umbria (The National Archaeological Museum), and the 15th century Oratorio di San Bernardino (the Oratory of St. Bernardino), and Via dei Priori. 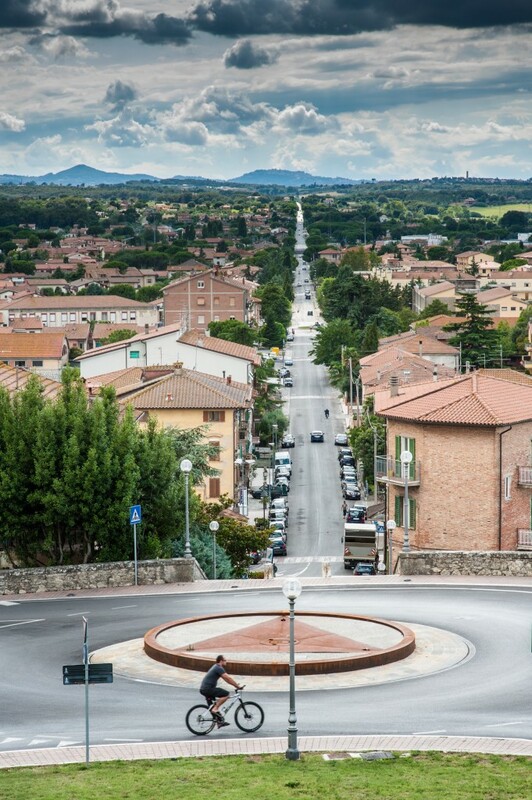 Perugia hosts the world renowned Umbria Jazz Festival in July. 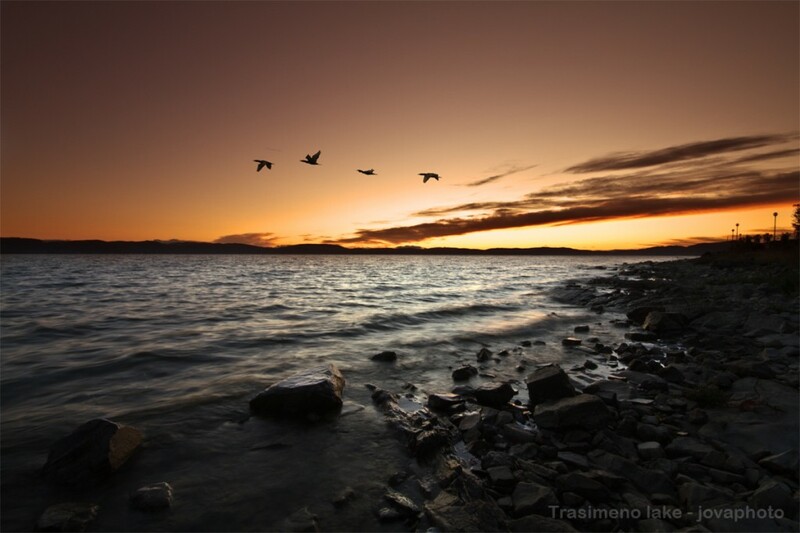 Lago Trasimeno (Trasimeno Lake), most famous for a Roman battle against Hannibal and for their fish, is a scenic lake full of bird life and lovely little towns along its coast such as Castiglione del Lago and Passignano. From these towns there is a ferry which goes to an island, Isola Maggiore, which has a castle. This boat trip is a great day out for small children. 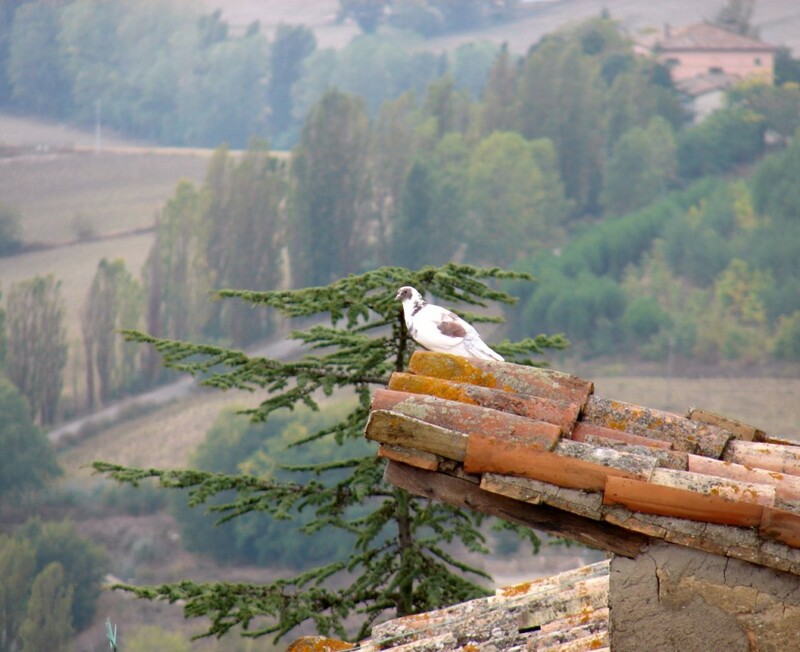 Panicale is a medieval hillside town overlooking Lago Trasimeno. Another medieval town, Todi, has the enchanting Piazza del Popolo (a town square with many 13th and 14th century buildings on it) and the Gothic and Renaissance church (Chiesa di San Fortunato). 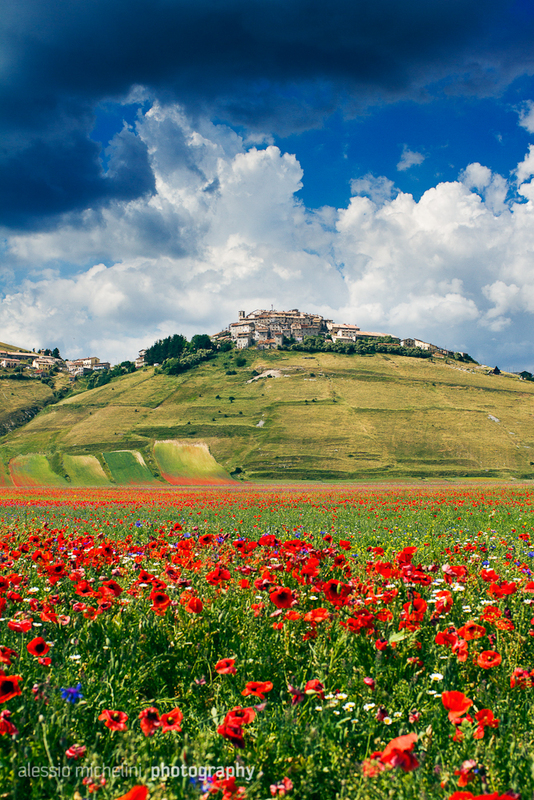 Two notable villages for any gourmet are Norcia and Castelluccio. 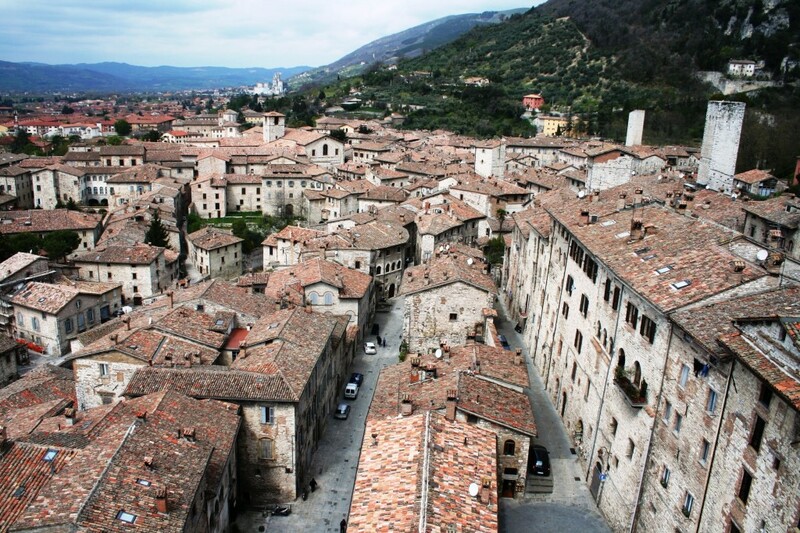 Norcia is a walled town within the national park of Monti Sibillini which is famous for its highly skilled butchers. 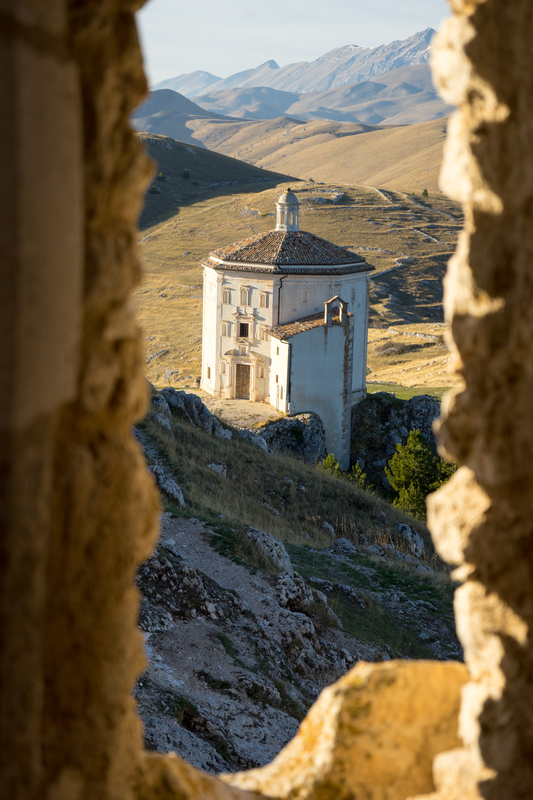 Castelluccio is a beautiful hillside village sitting at the highest elevation in the Apennines, next to Mount Sibillini National Park. The area is a destination for trekkers with gorgeous fields of red poppies and yellow rapeseed flowers as a stunning backdrop. 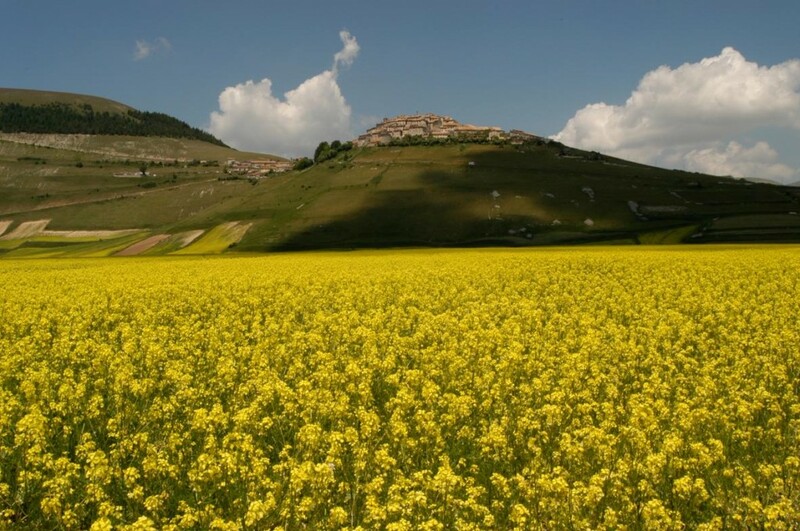 Castelluccio is famous for its green brown lentils prized for their thin skin and tender consistency. Other scenic villages to visit include: Arrone (a hillside village founded in the 9th century as a wooden castle overlooking the Nera river), Bevagna (a town famous for having one of the most beautiful town squares (Piazza Silvestri) in Italy, Citerna (a walled village rich with art and history with a complex medieval water system and walkway), Deruta (a village known as “old Perugia” which is famous for its ceramics and ceramics museum), Montefalco (a scenic village known for its wine and olive oil production), Montone (a walled medieval village), San Gemini (a village which has been famous for its mineral water since Roman times), and Torgiano (a well preserved medieval village which produces some good red wine and has a fine red wine museum). 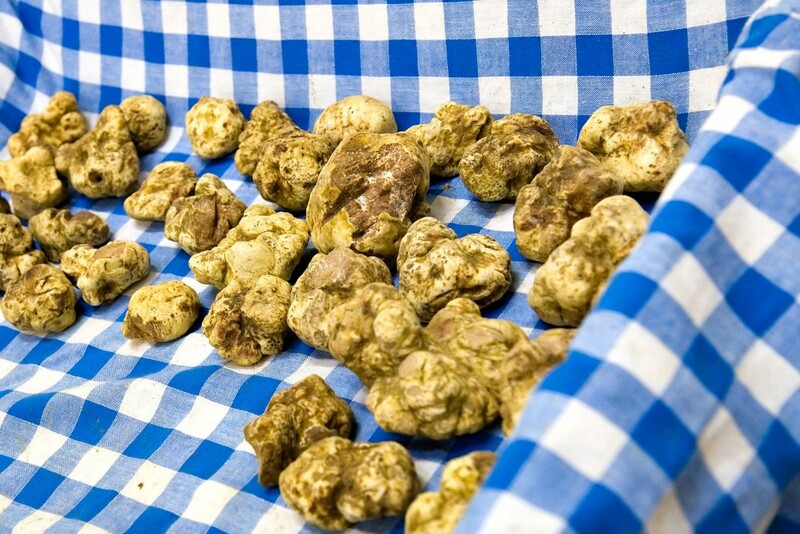 Bring home olive oil, black and white truffles, ceramics from Deruta, lentils from Castelluccio, and Perugina chocolates. 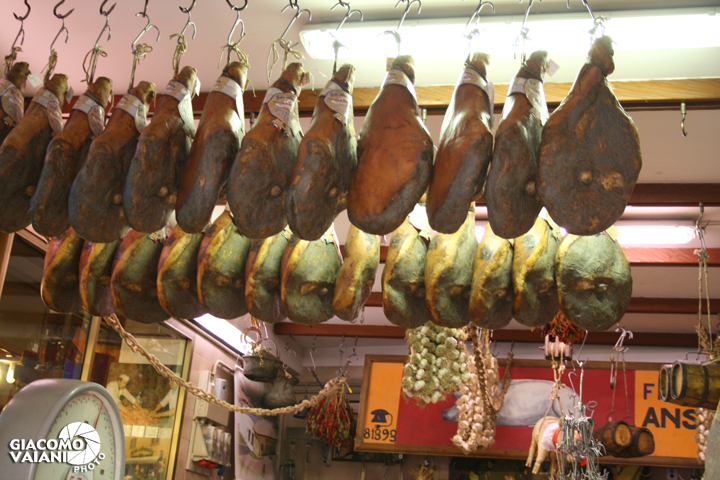 An artisan butcher where you can buy local salami, sausages, ham, olive oil, and cheese. The Festival dei Due Mondi (Festival of the Two Worlds) has held a music and opera festival each June to early July for the past 55 years. It is called the Festival of Two Worlds as it has a sister festival in Charleston, South Carolina in the United States. 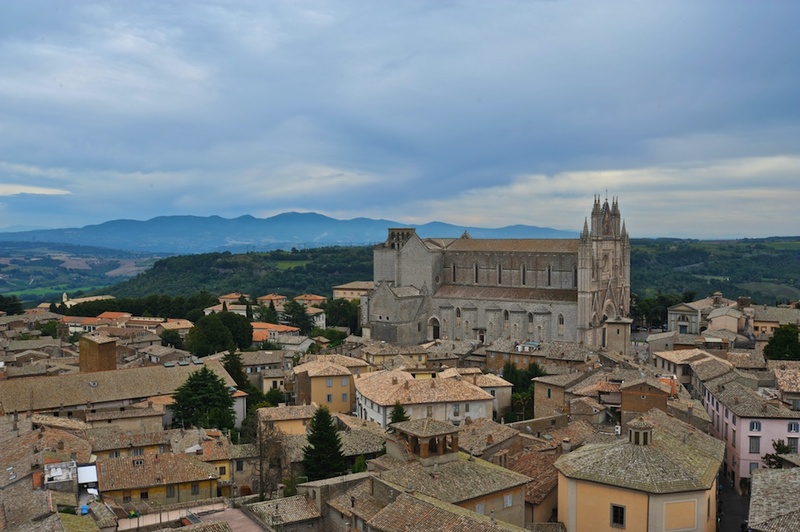 The Umbria Jazz festival hosts world famous jazz musicians from all over the world who perform for four days in December in Orvieto’s historic buildings including the Duomo (cathedral). Perugia has hosted the Umbria Jazz Festival for forty years and it is one of the world’s most important jazz festivals. Jazz greats such as B.B. King, Miles Davis, Dizzy Gillespie, and Sarah Vaughan have all performed. The festival takes place each July and lasts for 10 days. 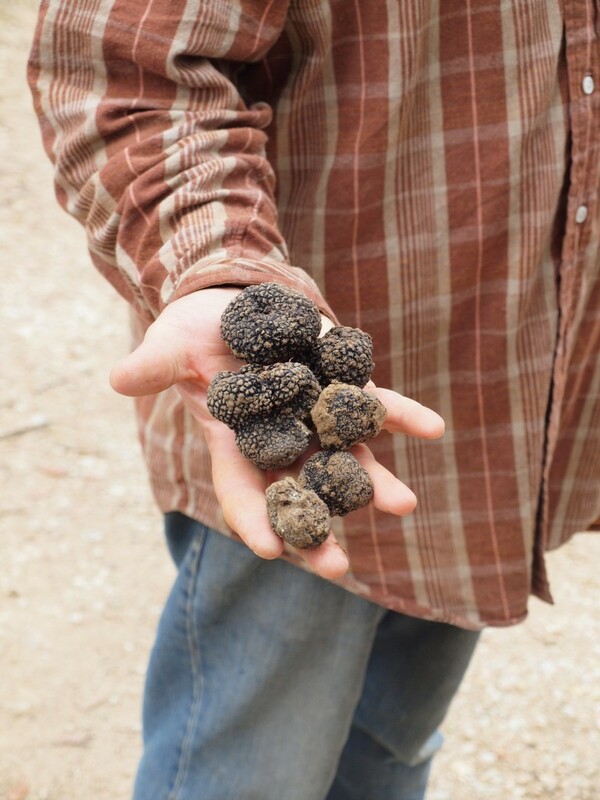 Two iconic ingredients from Umbria are black truffles and pork, both of which feature in many of the regional dishes. 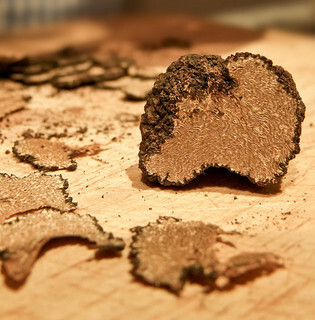 Black truffles are usually grated or chopped rather than thinly sliced like the white truffles in north. Truffles are not often found in the shops. Rather they are easier to procure by asking around at bars and restaurants until someone rings a truffle hunting friend to come. 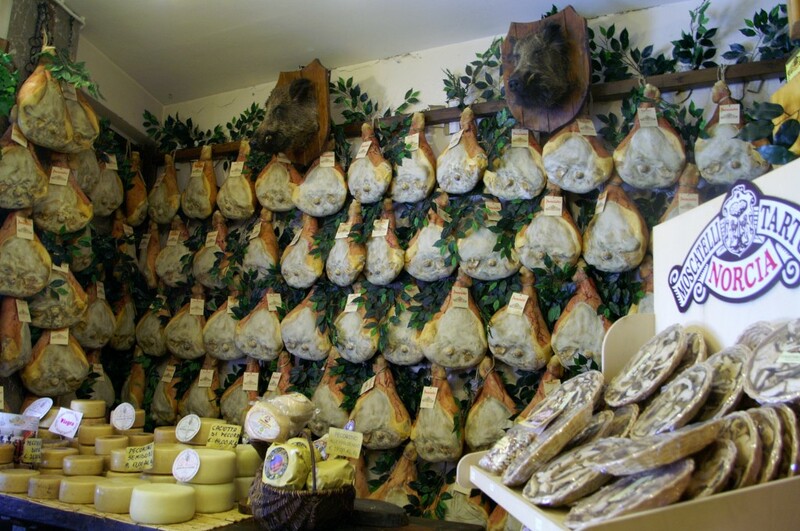 The fine pork from Umbria, traditionally free range and fed on black truffles and herbs, continues to be high quality. Butchers from this region are famed for their skill and historically also worked as surgeons. 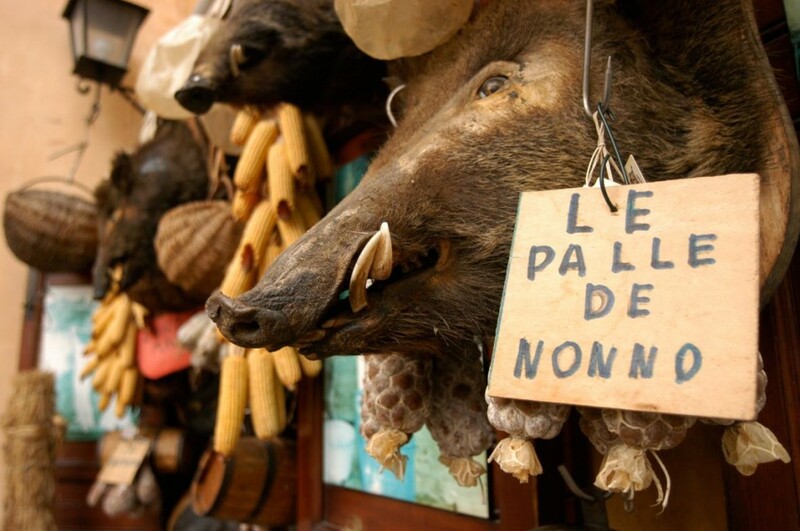 The norcini, butchers from Norcina, are famous across Italy for their cured pork products. 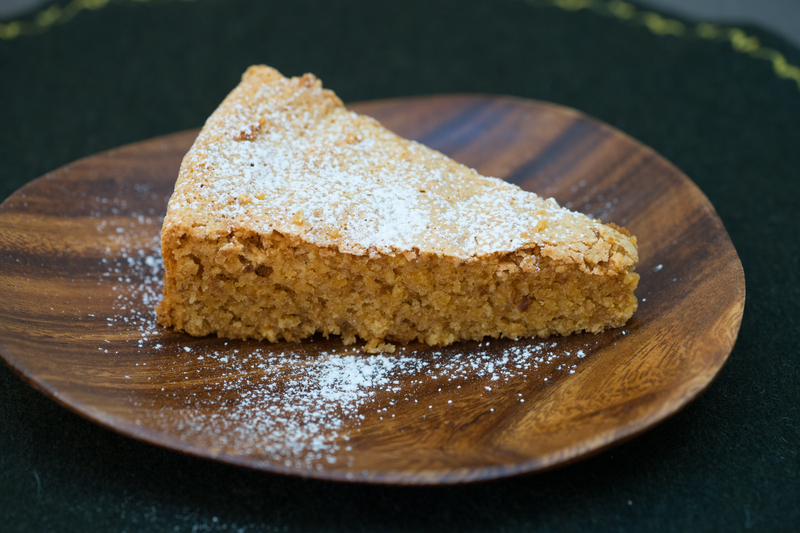 Grains, particularly emmer wheat, and pasta, such as stringozzi, cariole, or manfrigoli, are typically Umbrian. 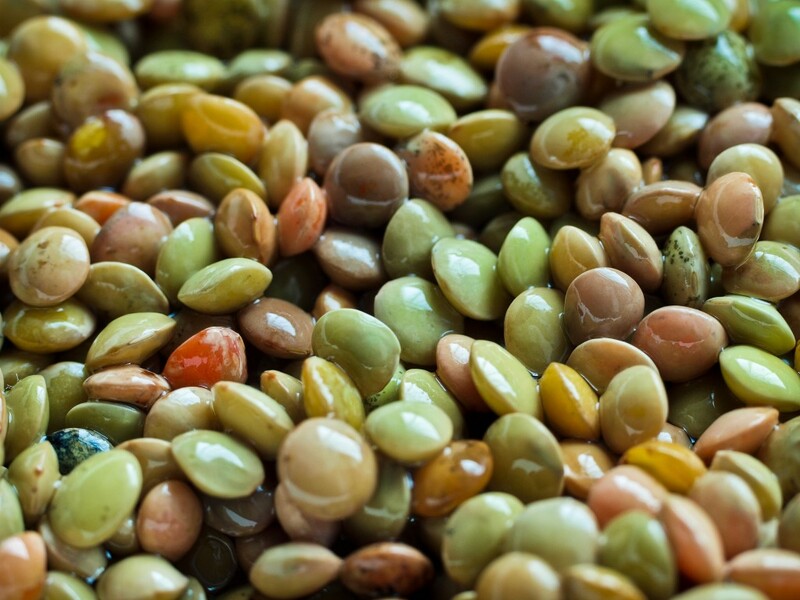 Lentils from Castelluccio are world famous for their mineral flavour. The lake provides trout, carp, tench, pike, eels, and freshwater prawns. 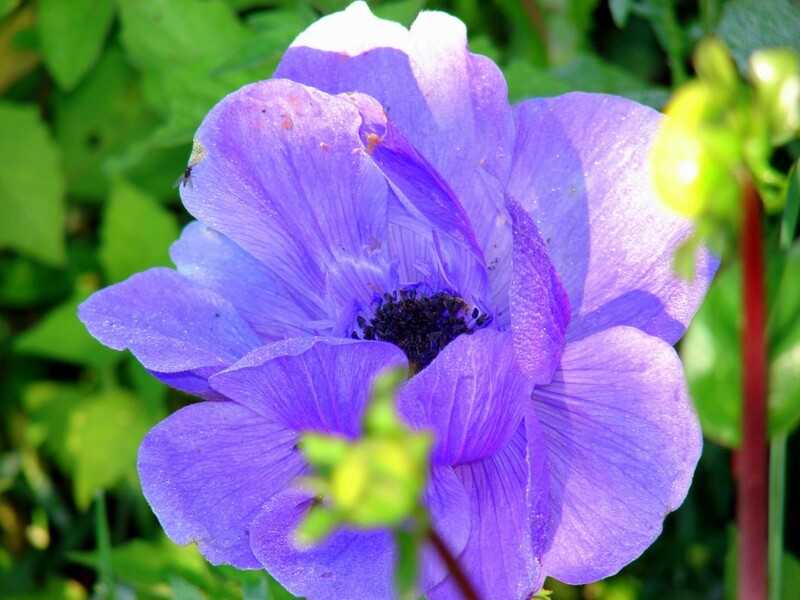 Other typical ingredients include almonds, pennyroyal, rosemary, wild rocket, hop shoots, wild mustard, poppy, clematis, onions, mushrooms, garlic, fennel, asparagus, game birds (thrush, partridge, and wood pigeons), hare, rabbit, beef, kid goat, veal, hare, capon, and lamb. 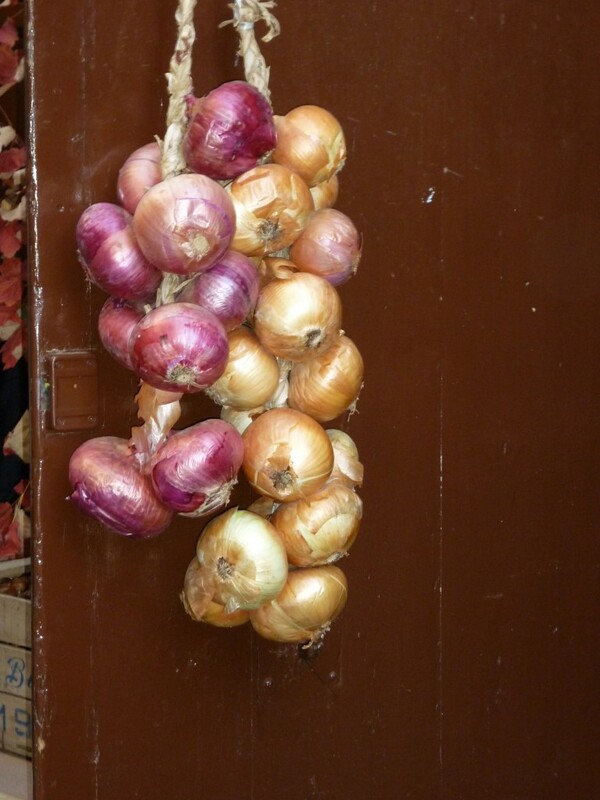 The cuisine here is natural, seasonal, and simple but flavourful. 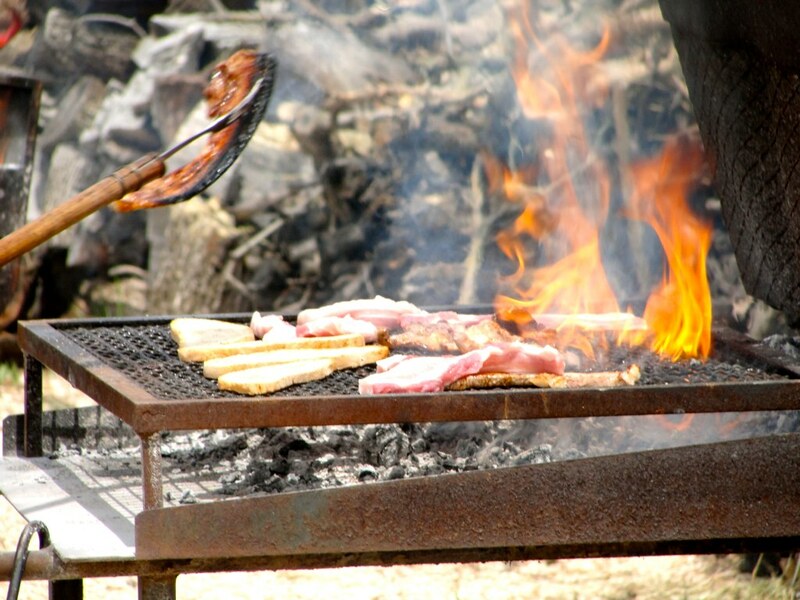 Most dishes have only a handful of ingredients and meats such as beef, pork, chicken, pheasant, guinea hens, thrush, and wood pigeons are often spit-roasted, boiled, grilled, or baked in a wood oven with aromatic woods and embellished only with local olive oil. 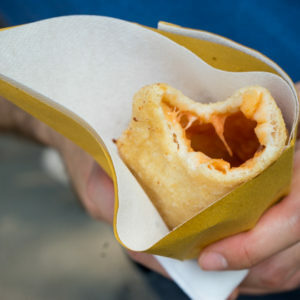 They are able to cook simply because they are careful to use the best ingredients, regardless of cost. 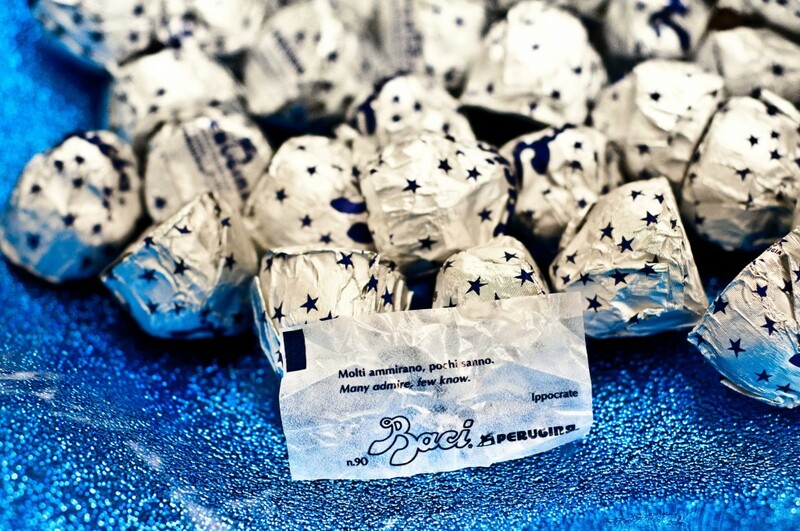 They are considered lavish because they use the same ingredients, no matter how expensive, for everyday meals as well as for special celebrations. 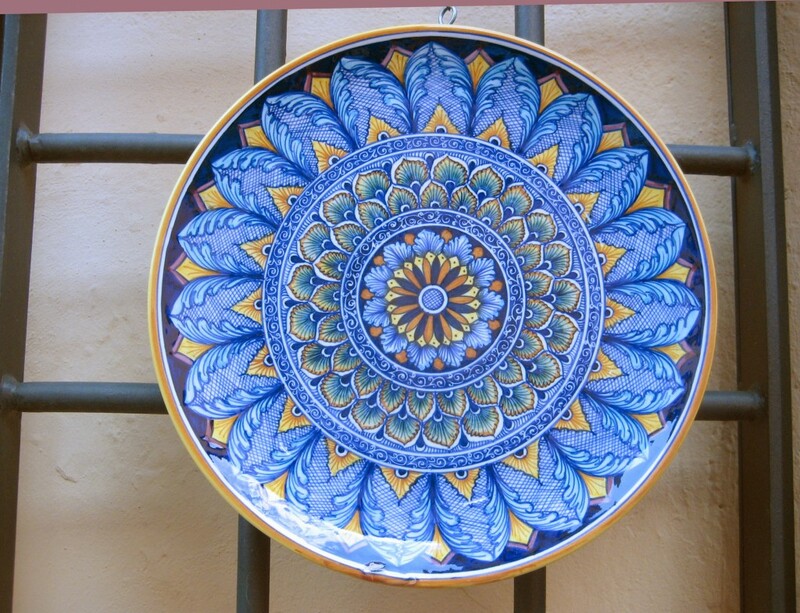 For Umbrian recipes, see here. 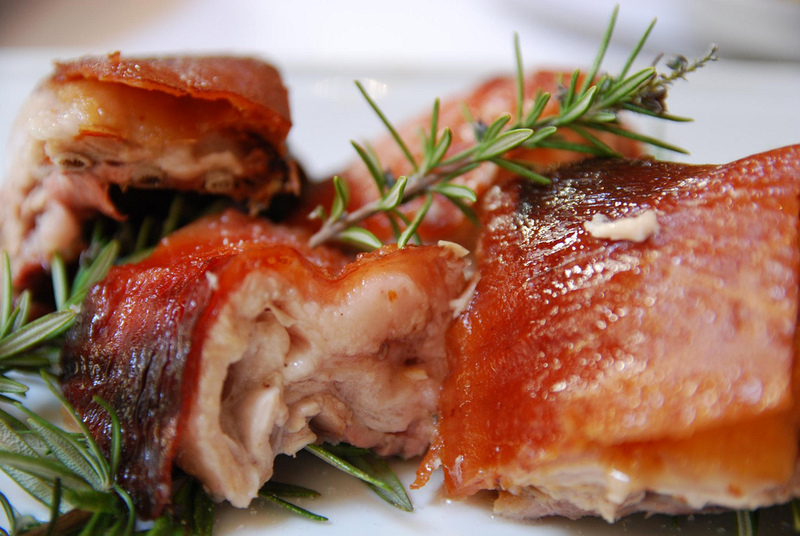 The most famous meat dish from Umbria is porchetta (slow-roasted wild suckling black pig, stuffed with fennel, innards, and garlic). 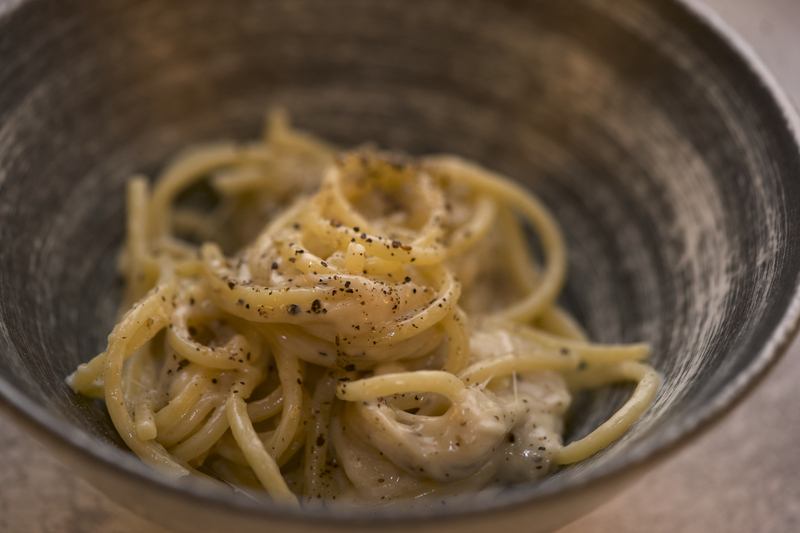 There are many local dishes described as “alla norcina” which indicates the use of black truffles. 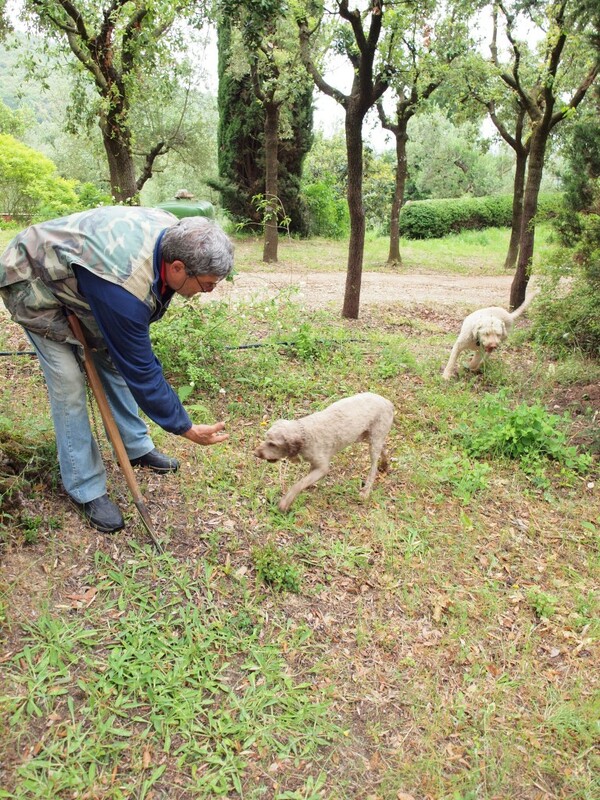 Truffles, despite their cost and rarity, in Umbria are pounded together with garlic and anchovy and are used to dress pasta, spread on hot grilled bread, in meat sauce, to top pizza, and to make an omelette. See recipes here. 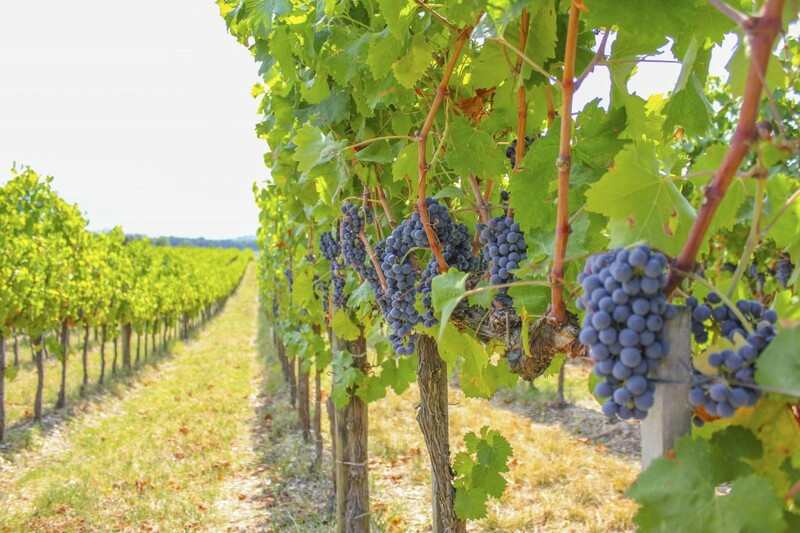 Local wines to drink include white wines which are blended but include Trebbiano/Procanico grapes from Orvieto Classico, Colli Martani and Torgiano and red wines made from Sangiovese grapes from Torigiano. There is also excellent Sagrantino di Montefalco and Montefalco red wine produced by Arnaldo Caprai. Producers of white wines to look for include Arnaldo Caprai, Barberani, Antinori’s Castello della Sala, Palazzone, and Tenuta Le Velette. 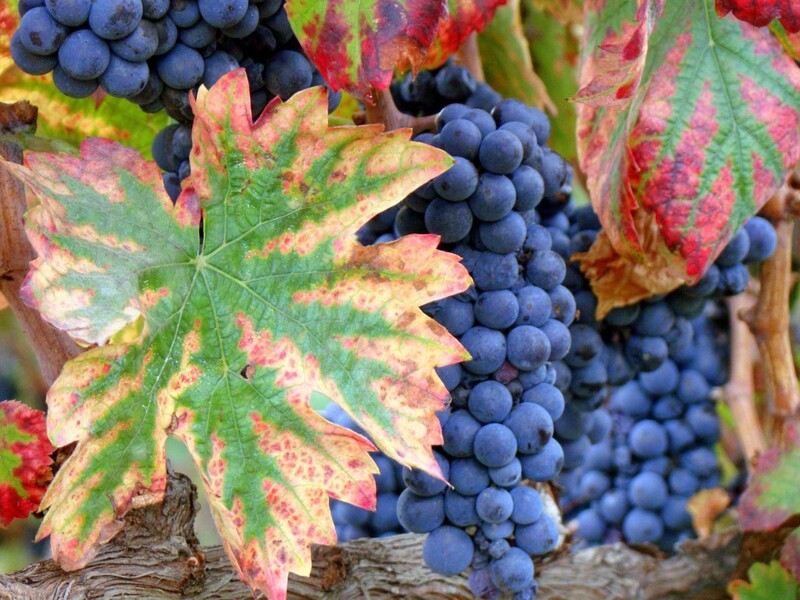 Lungarotti is a red wine producer from Torgiano to look for. Another good producer of red wine is Antonelli. 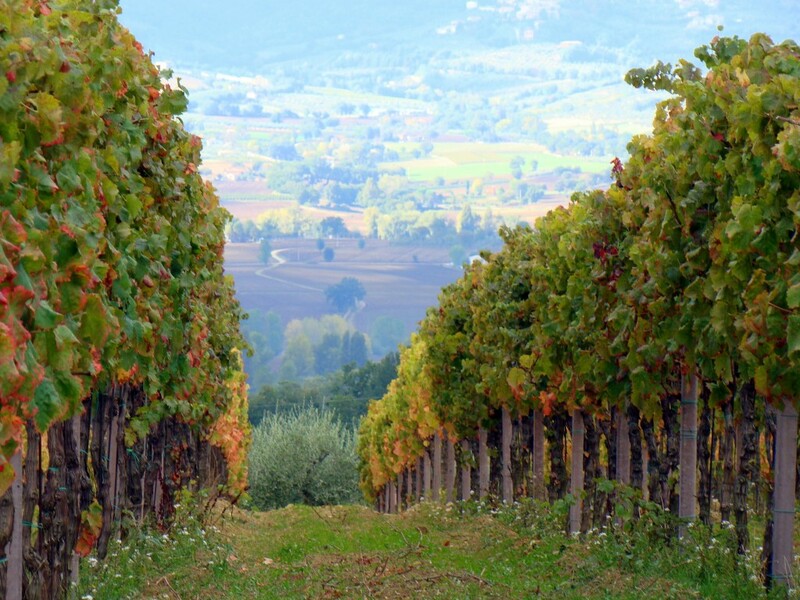 Umbria also produces sweet wines such as a botrytis sweet wine from Orvieto. A good producer is Barberani. Another excellent sweet wine is the passito wine made from Sagrantino di Montefalco. 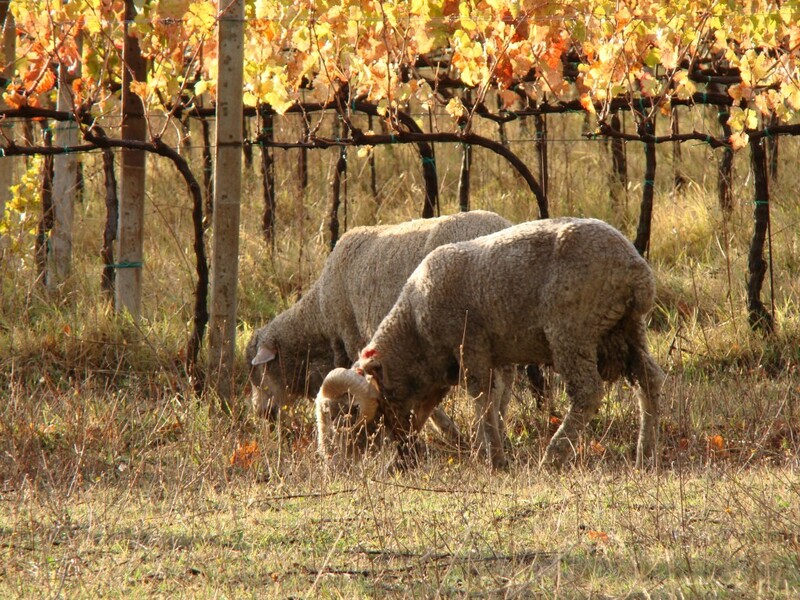 Try producers such as Caprai, Adanti, Bea and Antonelli.